Posted on Tue, Jan 17, 2012 : 7 a.m. The University of Michigan Health System is looking to expand its clinical services to Wayne County by acquiring a 25-year, multimillion-dollar lease for a 100,000 square-foot building in Livonia. The new UMHS facility will be located next to the existing U-M Livonia Center for Specialty Care. The building, according to a memo to the University of Michigan Board of Regents, needs $39 million in improvements, equipment and furniture before UMHS begins operating in it. The rent is approximately $2.7 million per year, or $27.25 square foot, and will increase 5 percent every five years UMHS occupies the building. The deal will cost at least $107 million over the course of 25 years. Improvements on the building are set to finish during winter 2014. The proposed facility is strategically located in the I-275 corridor and is one-half mile from the Livonia Center for Specialty Care, an existing U-M facility located on Haggerty Road. The board of regents will vote on whether to allow UMHS to execute the lease at their monthly meeting on Thursday. In the memo, UMHS Executive Vice President for Medical Affairs Ora Pescovitz said the health system's expansion to Wayne County is part of a "strategic plan to attract patients from outside the local market" of Livingston and Washtenaw Counties and to "improve overall market share." The site, the memo asserts, is well-situated to accommodate future expansion. 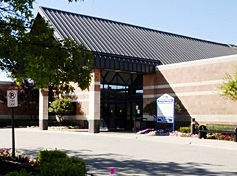 The St. Mary Mercy hospital in Livonia currently serves the area and the closest U-M facility outside western Livonia is the Canton Health Center in nearby Canton. Wed, Jan 18, 2012 : 2:14 a.m. Wed, Jan 18, 2012 : 12:43 p.m. Wed, Jan 18, 2012 : 3:11 a.m.
You must be reaching that point where your Medicare witholding is finally paying dividends;) These people are robbing us blind. The billers of the federal payor program are akin to the ladies working the chmapagne room.What happened to the days when &quot;Doc&quot; could come practice a little medicine, leave with a hen for Sunday dinner and a basketfull eggs, and await a favor down the road? I really can't find the definition of altruism in this article. Tue, Jan 17, 2012 : 9:36 p.m. These are our (taxpayor) dollars at work to compete with private employers like St. Joe's Ann Arbor. I have always wondered why we tax payors need to keep coughing up more money so public institutions like U of M can run over institutions like St. Joes. I am sure St. Joes Ann Arbor and Saint Mary's in Livonia are more than happy to care for patients who will go to this new building. Unfortunately, U of M probably needs to increase its market share to pay for those fancy new facilities like Mott and the Women's Hospital, or to pay for a growing faculty/medical staff. At what point do we say &quot;Let the neighborhood providers do it at their expense instead of tax payor expense&quot;? Tue, Jan 17, 2012 : 4:53 p.m. In case you missed it, It is no longer medicine folks, now it is health care and market share. I think it high time the Hippocratic Oath is updated to reflect modern times. Mon, Jan 16, 2012 : 9:49 p.m.
Uh-huh..... I recently found out that UM is relocating physicians from the Chelsea health care facility to Ann Arbor, Brighton, etc. Go figure. I would be interested in knowing WHY, and how many patients who are Chelsea residents (including retirees in Silver Maples, CRC) will now have to (a) drive to Ann Arbor or Brighton, or (b) find a new, local doctor. Mon, Jan 16, 2012 : 8:55 p.m. This must mean Washtenaw County is running out of sick people, which I guess is good news. Mon, Jan 16, 2012 : 8:27 p.m. So here we go again. U of M Health Systems expands faster than the egos of the hospital's physicians. Why not concentrating some cash on improving patient care in the Main Hospital? Why are there interminable waits in the hospital's emergency room? I certainly get my bill quickly! Why not spend some money on ethical and sensitivity training on its residents? Hey! How about a free clinic? U of M has been making record profits. Why not? Surely some of those plaques on the walls would be interested in throwing in some money where it is really needed. Build, remodel, and expand, the U of M mantra. Yeah. Neurologists usually travel in hordes, with scary and/or bored expressions on their faces. I usually pick one of the uglier ones and stare him/her down. I've learned that if you &quot;talk back&quot; to any U of M Physician, they will consider you to to be &quot;uncooperative&quot;, and may even call in Psych...which you DO not want them to do. So keep it light and utilize humor. (It doesn't work, but it's worth a try). Tue, Jan 17, 2012 : 3:29 a.m. I agree with you there. Some of the Residents have huge Egos and definitely need better training on patient sensitivity, customer relations, etc. I've seen some go from Dr Jeckyl to Dr Hyde when their attending physician enters the room - its amazing to watch! Neurology and Surgery among the worst.